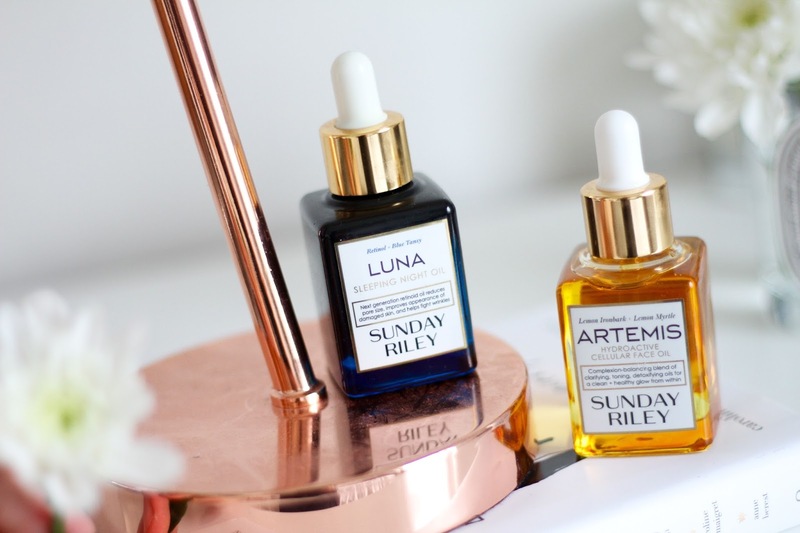 After purchasing Sunday Riley Luna Sleeping Night Oil a few months ago, I was blown away by the instant rejuvenating results, considering the price tag made me a little weary when buying it. After a few days of use, I had no regret. Not one bit. Luna is used on an evening before bed, to refresh your skin with anti-aging ingredients, simultaneously fixing damaged skin. Using a next generation retinol formula, results show firmer, clearer skin with increased elasticity and radiance. The solution has a blue colour to it, but don’t worry this does not stain your face like I thought it would. It sinks right into the skin without that greasy, thick, oily texture some do. When you wake up the next day, you are literally glowing and your appearance looks more awake and refreshed. 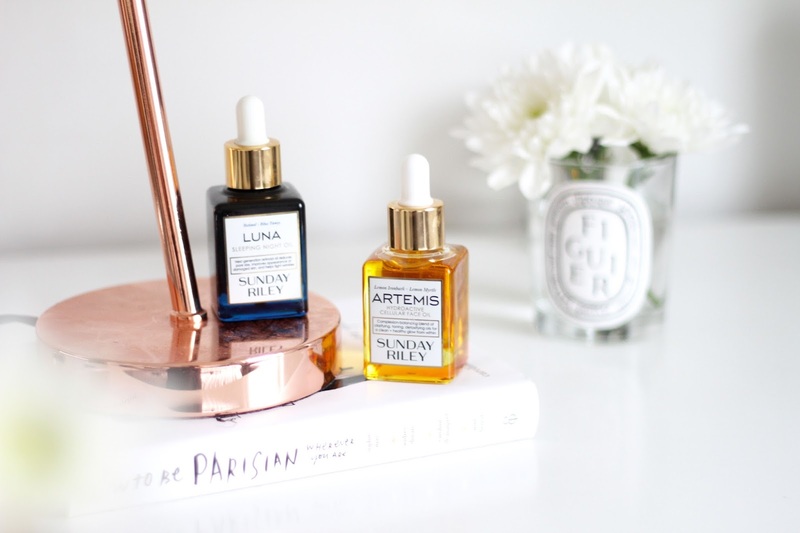 So lets fast forward to a few weeks later after buying Luna, I was so impressed with my new evening oil, I really wanted to invest in a morning facial oil. Now I was debating to try a new brand but with the fantastic results Sunday Riley gave me, I wanted to try more from the brand. Whilst visiting Edinburgh, I popped into their local Space NK and had a little chat with the lady in store. Without mentioning Sunday Riley, I told her I had combination skin and was looking for a facial oil for the morning. 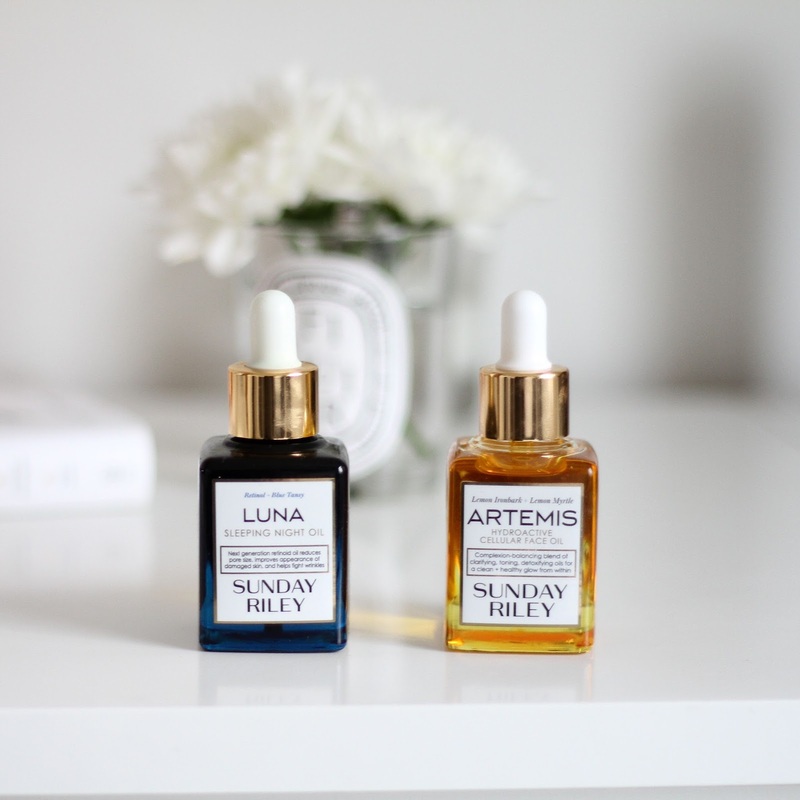 Straight away she took me over to the Sunday Riley counter and picked up a bottle of the Artemis Hydroactive Cellular Face Oil. YES… I knew I was onto a winner. The Artemis oil is designed to tone, clarify, detoxify and give a clean, healthy glow. The lady popped a bit of the oil onto the back of one of my hands, and after rubbing it into the skin you could immediately see a difference to the other hand in seconds. It looked rejuvenated and glowing, just like it said on the label. After a few days of using it, I could immediately see such a difference. The results aren’t as immediate as Luna, but still just as effective. Containing Lemon Ironbark, Lemon Myrtle, Milk Thistle, Cumin Seed Oil and Pink Grapefruit Oil… these fancy ingredients all have a purpose for calming and refreshing – to give that ‘clean healthy glow from within’. The perfect product to finish your morning routine. I am sooooooooo in love with this brand and I can’t wait to purchase more from the facial oils range. I wish I knew why they were so damn good at doing what they do! Have you tried any facial oils? What are your favourites?